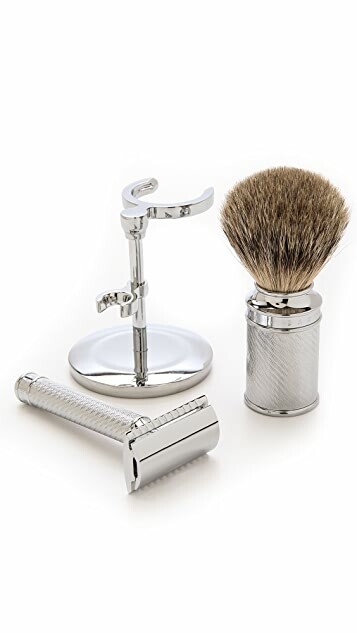 A complete shaving kit from Baxter of California. 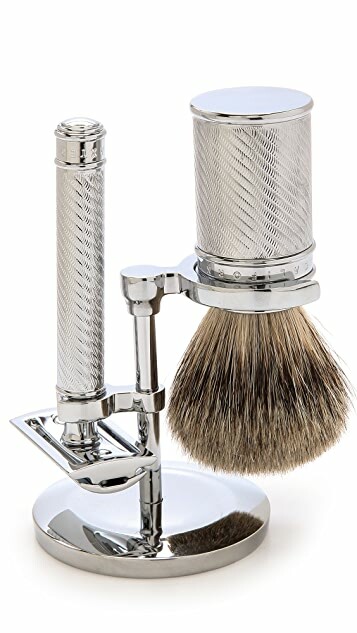 Nickel-plated, chrome-finished badger hair brush and double-edged safety razor with engraved handles. Polished stand.